Q: Recently, violent armed conflicts erupted in the capital of Libya, causing a large number of casualties. What is your comment? 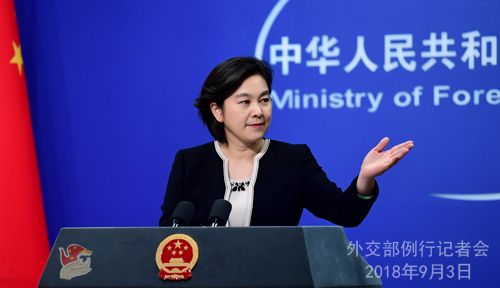 A: The Chinese side calls upon all relevant parties in Libya to immediately stop clashes, resolve differences through dialogue and negotiation, continue to move forward the political settlement process and realize reconciliation and stability at an early date. Q: A Chinese citizen was arrested in the US. He was later released pending investigation. Do you have any comment on that? A: I have seen relevant reports. 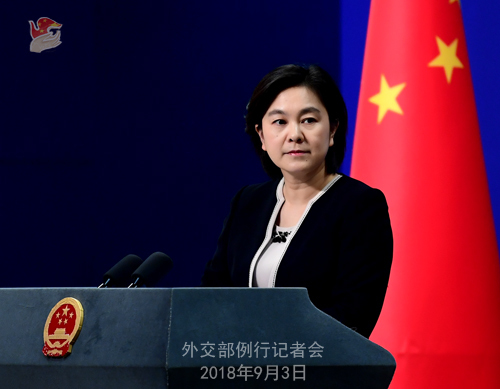 The Chinese Consulate-General in Chicago is closely following the relevant news, trying to find out more about the case and verify the relevant situation with the competent authorities in the United States. Q: In a few days, the DPRK will mark its 70th anniversary as a nation. Which Chinese leader will visit the DPRK and attend relevant activities? A: With regard to which Chinese leader will visit the DPRK and attend the National Day's celebrations there, I have no information to offer to you at this point. Q: The ABC website has been inaccessible in China for the best part of the past two weeks. Can the Foreign Ministry provide any clarification as to the exact reason for that? A: I have seen your relevant report and also noted that your report said you have asked China's cyberspace administration authority. What's more, your report has cited the response from the relevant authority in details, so I believe you are quite clear about this question. Q: I wonder if you have any comment on Myanmar's government sentencing of two Reuters journalists to seven years in prison for independent reporting? A: I am not aware of the situation mentioned by you. You may ask the competent authority of Myanmar. Q: Sudan's President Omar al-Bashir is currently in China. He has met with President Xi Jinping. He is wanted by the International Criminal Court. What is your comment? A: I think you raised this question at an inopportune time. China is not a contracting party to the Rome Statute. The Chinese side holds reservations about the International Criminal Court's indictment against Sudanese President Omar al-Bashir. We hope that the International Criminal Court can handle the relevant issue in a prudent manner. China and Sudan enjoy good friendship. We support the efforts made by Sudan to uphold national sovereignty, security and stability. We are willing to work with Sudan to continue to make positive contributions to achieving peace and stability in South Sudan. Q: According to reports, on August 30, the California State Legislature passed a bill that actively supports cooperation with China in economy, trade, education, culture and people-to-people exchanges, and urges the President and Congress of the United States to support actions that further strengthen economic links between the United States, including California, and China. What is your comment? A: We have seen relevant reports. This bill reflects the aspiration of all sectors in California to maintain steady development of China-US ties, which we believe is also what the vast majority of the US people want and agree with. Subnational exchanges and cooperation is an important component of China-US ties. In recent years, subnational cooperation between the two countries have been thriving, delivering rich outcomes in the fields of economy, trade, culture and people-to-people exchanges and tangible benefits to the people of the two sides. Quite a few US governors have made trips to China to express their willingness to expand and deepen all-around cooperation with China. 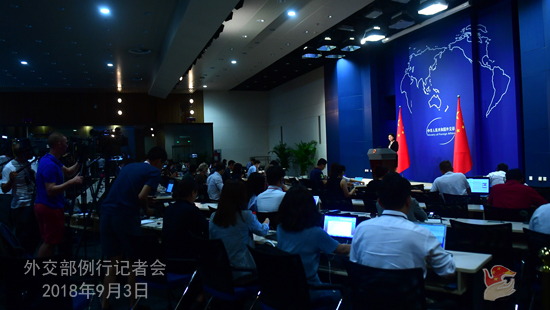 When subnational exchanges between the two sides get more frequent, bilateral cooperation more fruitful and people-to-people exchanges closer, the common interests shared by the two sides will be expanded and the overall development of the China-US relations be driven forward. We hope that China and the US could work together to consolidate agreement on subnational cooperation, tap into the complementary subnational strength, and expand two-way trade and investment so that China-US subnational exchanges could bring more opportunities and dividends to the two peoples.